Changing employers is an exciting, but also challenging, part of life for many established physicians. And whether you've never owned a practice, are starting a new one, or sold yours and are moving into an employee role at another practice, access to expert contract review is vital to your continued success. Our firm has the skill and expertise you rely on to provide in-depth, timely, and competitively priced contract reviews. 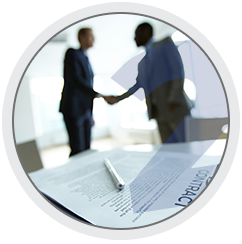 Leveraging our unique blend of legal and medical talent, we are focused on providing detailed reporting on the pros and cons of each agreement and helping you get not just a positive outcome, but the best one possible. Gaining baseline knowledge about your contract is critical to your success. 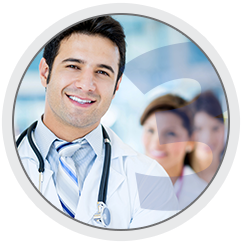 Our packages provide contract review options for new or established physicians. Once you complete the process of choosing a package and sending in your contract, your contract will be reviewed by a specialized Health Law Attorney and your review meeting can be scheduled. Ensure many factors including whether compensation and benefits meet industry standards, appropriate termination options, reasonable non-compete section and making sure there are no other negative clauses imposing unreasonable liquidated damages. We've dedicated ours to helping physicians like you navigate contracts and other legal requirements. You’ve dedicated your life to helping others through medicine. We’ve dedicated ours to helping physicians like you navigate contracts and other legal requirements. With nearly two decades of experience in advising our clients on Health Law Services and an “up to the minute” approach to keeping abreast of industry and legal changes, we’re proud to be both licensed by the State Bar of Texas and trusted advisers to dozens of clients throughout the Lone Star State. Our process is simple. You provide your information and payment using our secure site, and we perform a detailed, straightforward, and timely contract review—usually within four to five business days, but often in as little as two to three. We will break down the positive and negative aspects of the contract in detail, and our collaborative approach means we’re always on hand to answer any questions or address concerns you may have. We offer competitive pricing and strive to give you service and security that rise above and beyond other firms. Board certified by the Texas Board of Legal Specialization, attorney Jim Kelso is one of only 60 legal professionals uniquely poised to address the complexities of medical negotiation and compliance faced by today’s physicians. We put our experience, and expertise, to work for you. Our focus isn’t selling products, but clear, friendly, and professional contract review services. Moving on doesn’t have to be stressful. 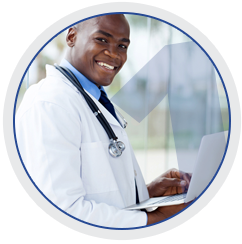 If you’re an experienced physician in need of superior contract reviews at a fair price, reach out to us today. Our team of experienced, dedicated, and skilled professionals can help you make the most of your relocation.